On November 9, Prime Minister Narendra Modi announced to withdraw legal tender on Rs 500 and Rs 1000 notes, effectively demonetising them. While the government tried to cushion the shock by permitting public utility centres like government hospitals to accept old notes, the decision has led to chaos. 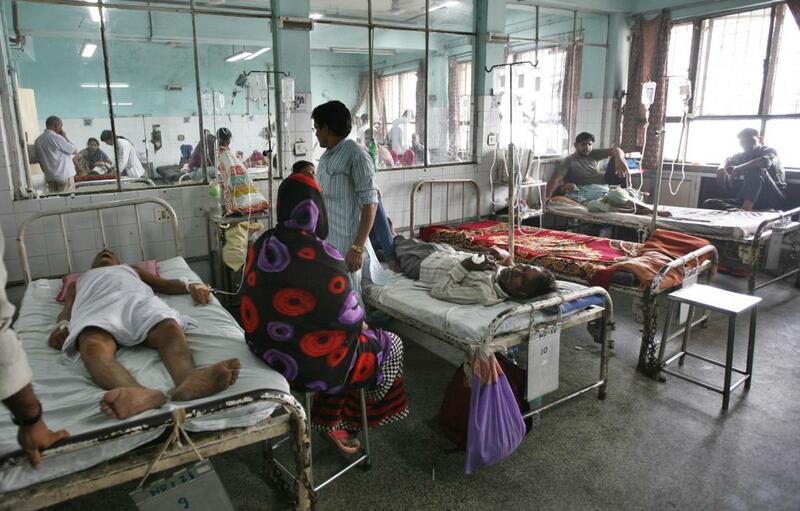 Due to lack of valid notes, people have failed to reach hospitals on time, in some cases, causing loss of life. Private hospitals and chemists have returned patients empty-handed in spite of carrying Rs 1000 or Rs 500 notes. Such incidents have been reported from across the country. As per a media organisation, total 16 people including an infant and elderly have died in last five days due to refusal of health services. The Kerala Human Rights Commission has issued notice to the state government about readiness of dealing with people who approach government health facilities. The situation on the ground highlights the ill-preparedness of the government. It is also strange to see government’s confidence in public health infrastructure, which has remained ill-equipped after multiple governments failed to prioritise it. Whenever governments have been pushed to improve the public health infrastructure, they have responded with insurance, indirectly pushing private health infrastructure. As a result, infrastructure at ground is quite inadequate. There are 153,655 sub-centres, 25,308 primary health centres (PHCs) and 5,396 community health centres (CHCs), as per a Ministry of Health and Family Welfare report released in 2015 (data up to March 31). While government health centres have increased in number in 2014-15, their numbers are not sufficient for the population they cater to. As per the same report, shortfall of allopathic doctors in PHCs was 11.9 per cent of the total requirement for existing infrastructure. Thus, the state’s assurance of treatment in government hospitals in case of limited or no valid notes, is hollow.